Where does ‘Chicago Fire’ film? 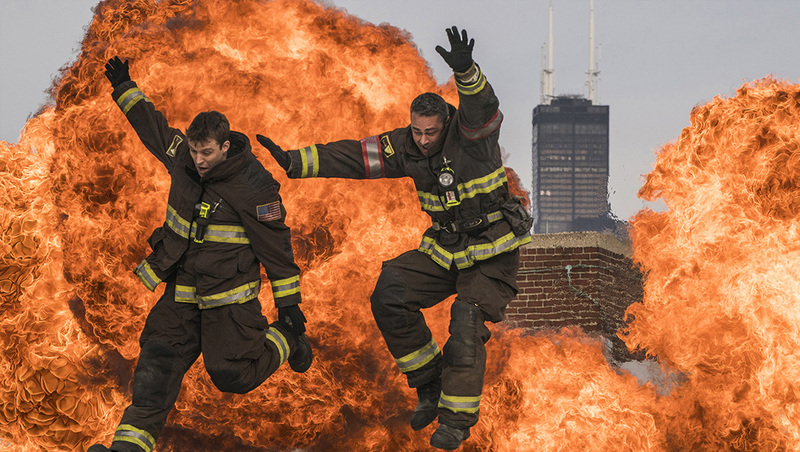 NBC drama “Chicago Fire” is filmed in Chicago. In addition to shooting in various locations around the city and surrounding areas, the show also uses converted factories on the Cinespace Chicago campus for soundstages. The soundstages include a variety of permanent sets, including the fire station, characters’ homes and a hospital set. In addition, Molly’s, the bar frequented by characters on the show that is based on real-life pub Lotties, has been built on a soundstage. “Chicago Fire” does not have a studio audience and fans are not permitted to visit the sets, though it is often possible to see the show filming on location throughout Chicago.